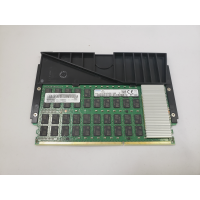 IBM Power8 DDR4 memory can not be mixed on the same server with DDR3 memory. Memory must be installed in pairs using two identical main storage feature codes. See server definition for any single CDIMM configuration exceptions for very entry 1-socket servers. IBM Power8 system firmware 860 or later is required.